Over the past century, Arab American contributions have enriched the political, economic and cultural life in the United States. Arab Americans have risen to prominence in every profession. This section tells the stories of hundreds of Arab American individuals and organizations whose contributions have influenced our way of life – politicians, activists, athletes, physicians, labor leaders, and entertainers. Featured individuals include world-renowned surgeon Dr. Michael DeBakey, consumer advocate and presidential candidate Ralph Nader, former White House journalist Helen Thomas, and auto racing legend Bobby Rahal. As academics and scholars, Arab Americans have contributed to every field. In areas such as Women’s Studies, History, Post-Colonial Studies, Middle East Studies and Media Studies, Arab Americans have both contributed to and altered the intellectual discourse and expanded the scope of study to include non-Western viewpoints. Numerous Arab Americans have made it their life’s work to assist in improving the lives of all Americans. They have contributed in the fields of labor, health, social justice, law, cultural awareness and community development by putting their own self interest aside and working for the betterment of all. These committed individuals have been recognized not only by the Arab American community but also by the entire nation. Arab Americans formed new organizations to aid new immigrants, fight stereotyping and discrimination, enhance civic and political empowerment, publicize political struggles, and provide much-needed services to the community. From prose and poetry to innovative design, music and dance, Arab Americans have enhanced and broadened the cultural landscape of the nation. These creative people have helped to bring a greater understanding of cultural diversity through the arts and in turn, build bridges among all groups. Arab Americans have gained acclaim as Oscar and Emmy award-winning actors, multi-platinum-selling musical performers, critically acclaimed film and TV directors and producers, radio personalities, teen pop idols and celebrity humanitarians. Many of the nation’s best-loved performers are Arab Americans. Arab Americans have been serving in the U.S. military since the Revolutionary War. They fought with both the Union and Confederate armies in the Civil War. During World War I, Arab American community leaders urged young Arab American men to join the U.S. Armed Forces in order to help defend their new country. Today, there are thousands of Arab American men and women serving in the U.S. Armed Forces. The Association of Patriotic Arab Americans in the Military (APAAM) is an organization that unites service members of Arab descent. Arab Americans have served the nation as members of Congress and the U.S. Senate, governors, judges, district attorneys, negotiators, ambassadors, cabinet secretaries, White House press correspondents and political pollsters. All areas of government and politics have been well served by the hard work and commitment of Arab Americans. Arab Americans have contributed to all aspects of science and medicine. These highly skilled people have won Nobel Prizes, founded hospitals and research centers, cured diseases, flown in space, and trekked and mapped Antarctica. Often working behind the scenes, their names may not be well known. However, their contributions have resulted in great strides toward understanding our world and enhancing our health. On and off the playing fields Arab Americans have made contributions to sports. From race car drivers, football players, baseball players, basketball players, pro bowlers, track and field stars to coaches and team owners and even professional wrestlers, these professional sports legends had fans cheering. After earning a degree in history from the University of California at Los Angeles, Alixa Naff set off on a trip that would spark a life-long devotion to collecting and preserving the stories of Arab immigrants who came to the United States. Armed with a tape recorder and a $1000 grant from the UCLA Folklore Department, Dr. Naff spent the summer of 1962 collecting oral histories throughout the U.S. and Canada. In 1984, she donated her artifacts, photographs, and oral histories to the American History Museum of the Smithsonian, establishing the first Arab American collection in the nation. 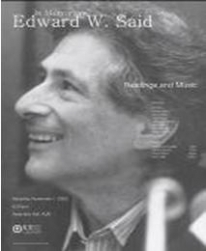 Edward Said was one of the most distinguished intellectuals of the 21st Century. His 1978 book, Orientalism, is credited with launching the field of Post-Colonial studies in Comparative Literature. In Orientalism, Dr. Said proposes new ways of examining how the Arab World is represented in Europe and America. Born in Jerusalem in 1935, he was one of the most influential voices for the Palestinian cause in the United States and Britain. In addition to his work as an academic, essayist, and public lecturer, Dr. Said was an accomplished pianist and opera critic. Dr. Jack Shaheen: Jack Shaheen has dedicated his life to exposing stereotypes of Arabs and Arab Americans in Hollywood. He is an internationally acclaimed author and media critic. 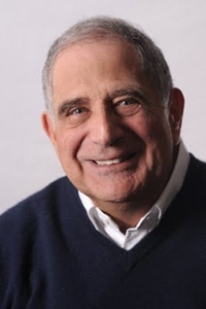 A former CBS News consultant on Middle East affairs and Professor Emeritus of Mass Communications at Southern Illinois University, Dr. Shaheen has written several books, including, The Arab TV, Reel Bad Arabs: How Hollywood Vilifies a People and Guilty: Hollywood’s Verdict After 9/11. Presidential Candidate in 2000 and 2004, Ralph Nader is America’s leading consumer advocate. 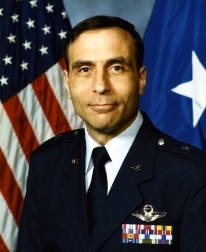 Born in Connecticut, Nader began his career as a lawyer in Hartford in 1959. He first made headlines in 1965 with his book, Unsafe at Any Speed, an indictment of the auto industry for producing unsafe vehicles. The book successfully led to the 1966 passing of a series of automobile safety laws. In his career as a lawyer, author, and consumer advocate, Nader has founded many organizations including the Center for Responsive Law, the Public Interest Research Group (PIRG), the Center for Auto Safety, Public Citizen, Clean Water Action Project, the Disability Rights Center, the Pension Rights Center, and the Project for Corporate Responsibility. Former ACCESS Executive Director, Ismael Ahmed discusses welfare reform and immigration matters with President Bill Clinton in 1995. ACCESS is a human services organization committee to the development of the Arab American community, and the greater community, in all aspects of its economic and cultural life. To support this goal, ACCESS provides a wide range of human and cultural services as well as advocacy work. ACCESS Youth Program: ACCESS staff and volunteers have joined forces to meet the needs of low income families, to help newly arrived immigrants adapt to life in America, and to foster among Americans a greater understanding of Arab culture as it exists both here and in the Arab World. ACCESS is dedicated, in all of its efforts, to empower and enable people to lead more informed, productive, and fulfilling lives. The American Arab Chamber of Commerce, founded in 1992 in Detroit, was a driving force for the development of Arab Chambers in many cities across the country. Established to better serve the Arab American business communities, these chambers promote, assist and strengthen member businesses, in the domestic and international arenas. The chambers provide business referrals, member promotion, networking events, information exchange through its publications; and serve as the voice of its members with lawmakers and governmental agencies. In order to access the lucrative Arab American markets, a growing number of businesses are joining these chambers since membership allows businesses to expand their market base. From “mom-and-pop” stores to large international corporations, chamber members receive many benefits designed to improve business operations and boost profits. In 1978, the Palestine Aid Society of America was established to provide material and political support for the Palestinian people in the occupied territories and Lebanon. Through its chapters in various U.S. cities, Palestine Aid Society holds a variety of cultural and educational activities that help people develop a more comprehensive understanding of the Palestinian struggle to end occupation and build an independent Palestinian state. During the 1970s and 1980s, many other Palestinian American organizations emerged, such the United Holy Land Fund and Roots. 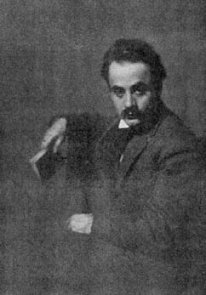 Author of the critically acclaimed novel, The Prophet, Gibran Khalil Gibran came to Boston’s South End from a small village in Lebanon in 1895. Like Ameen Rihani, Gibran wrote in both Arabic and English. He published his first article in 1904 in the Arab American newspaper, Al-Mouhajer, or The Emigrant. He was actively involved in literary circles and founded the Pen League in 1911 with fellow Arab American writer, Mikhail Naimy. His world-renown reputation came with the 1923 publication of The Prophet, which has been translated into more than 20 languages. A celebrated novelist and poet, Gibran was also an accomplished painter. Naomi Shahib Nye published her first poem at age 7, shortly after she learned how to write. 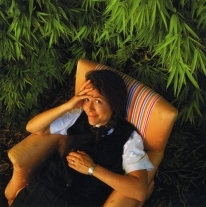 Her continued success as a poet, essayist and children’s writer has earned her numerous awards and fellowships. The author and editor of more than 20 works, Nye’s writing draws on her Palestinian-American heritage as well as the cultural diversity she experiences in her home of San Antonio, Texas, and throughout her travels. She is one of the most influential contemporary Arab American writers. Photo by James McGoon Photography. Without formal training, Sam Maloof became one of the world’s most celebrated craftsmen and the only wood worker to receive a MacArthur Foundation Fellowship Award. He began his career in 1934 by building furniture for his parents and in 1948 he received his first commission. Uniting the beauty of craft with utility, Maloof’s works are exhibited in collections throughout the United States, including the Smithsonian Institution in Washington, D.C., and the Metropolitan Museum of Art in New York City. In 1994, along with his wife, he established the Sam and Alfreda Maloof Foundation, dedicated to fostering the role of craft in society. His home in California, which he designed and built, is a historical landmark. 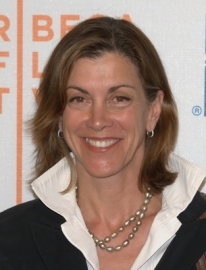 An actress and a community activist, Wendie Malick’s career has transitioned from modeling to award-winning television and screen roles. Wendie received both Golden Globe and Emmy nominations for playing Nina Van Horn on TV’s Just Shoot Me. 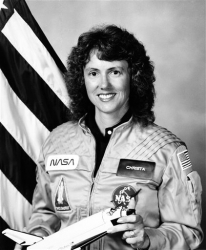 Before that, she won four Cable ACE Awards for her starring role in HBO’s Dream On. Wendie is involved with numerous community projects including: Planned Parenthood, Adopt-A-Family, domestic violence prevention and environmental advocacy. In 1995, she helped create The Maverick Building Squad, a non-profit organization that builds houses in underdeveloped areas of Mexico. 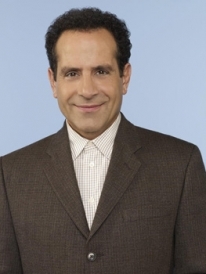 Actor Tony Shaloub charmed audiences with his Emmy Award-winning role in Monk, a USA television series about an obsessive-compulsive detective. Monk also won Tony a Golden Globe Award and a Screen Actor’s Guild Award nomination—two more honors in what has turned out to be an illustrious career. 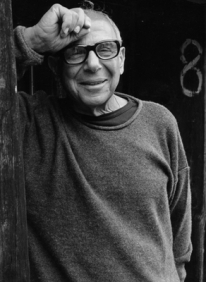 After earning a Master’s degree from Yale Drama School, Tony worked on Broadway, where he received a Tony Award nomination for Conversations with My Father. Tony also appeared in the sitcoms, Wings and Stark Raving Mad. His film credits include Men in Black, Spy Kids, Thirteen Ghosts, The Siege, A Life Less Ordinary, Gattaca, Barton Fink and Big Night, for which the National Society of Film Critics honored him with the award for Best Supporting Actor. Specialist Turkia Awada Mullin, receiving medals for her service in the United States Army, 1986-1988. 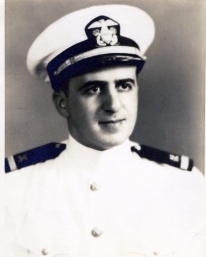 Navy Lt. Alfred Naifeh was promoted to Lieutenant in 1942. That year, while he was serving on the USS Meredith in the Solomon Islands, the ship was struck by a Japanese air raid. Lt. Naifeh worked for two days and nights to locate his wounded shipmates and get them aboard life rafts. On the third day, he died of exhaustion. He was posthumously awarded the Navy and Marine Corps Medal and the Purple Heart for his heroism. In 1944, one of the U.S. Navy ships, the destroyer USS Naifeh, was named in his honor. Photo courtesy of Robert Naifeh and the Naifeh family. 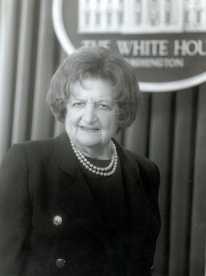 Cited by the World Almanac as one of the 25 Most Influential Women in America, Helen Thomas earned the title “First Lady of the Press” for her role as dean of the White House Press Corps and her work as White House bureau chief. For 57 years, Thomas served as White House correspondent for United Press International, covering every United States president since John F. Kennedy. From 2000-2010 she wrote opinion columns on national affairs for Hearst Newspapers. This former New Hampshire Governor and White House Chief of Staff is the current chairman of the New Hampshire Republican Party. Born in Cuba to a family of Palestinian-Lebanese ancestry, Sununu became New Hampshire’s governor in 1983. After serving three consecutive terms, George H.W. Bush commissioned him as Chief of Staff in 1989 and served in the White House until 1991. A veteran of five scientific expeditions to Antarctica, George Doumani is the only Arab American to have explored the continent’s interior. Doumani’s research as a geologist helped prove the theory of continental drift. Two geographical features in Antarctica have been named for him by the National Board of Geographic Names; Mount Doumani and Doumani Peak. In the world of automobile racing, Bobby Rahal has reached the highest levels. The Indianapolis 500 Winner and three-time CART Series Champion went from a childhood racing sports cars with his father to a career competing in racing’s elite - Formula 1 and IndyCars. In 1996, he partnered with talk show host David Letterman to establish Team Rahal. 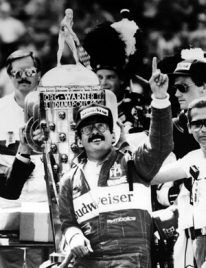 Mr. Rahal continued driving IndyCars until 1998, when he retired to concentrate on running his team and developing automobile dealerships in Pennsylvania and Ohio. After a stint in Europe as chief executive of Jaguar's Formula 1 Racing Operations, he returned to the U.S., where he runs a variety of racing teams and drives in historic races. Star basketball player, Rony Seikaly ranked as Syracuse University’s all-time leading scorer until his record was broken by Derrick Coleman. In the 1988 National Basketball Association draft, Seikaly was selected in the first round by the Miami Heat. 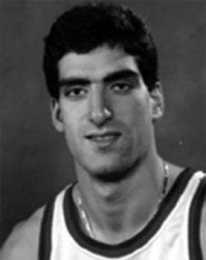 Born in 1965 in Beirut, Seikaly attended high school at the American School in Athens, Greece. Every year, he hosts the Rony Seikaly Golf Tournament to benefit cystic fibrosis research. He retired from basketball in 2000.